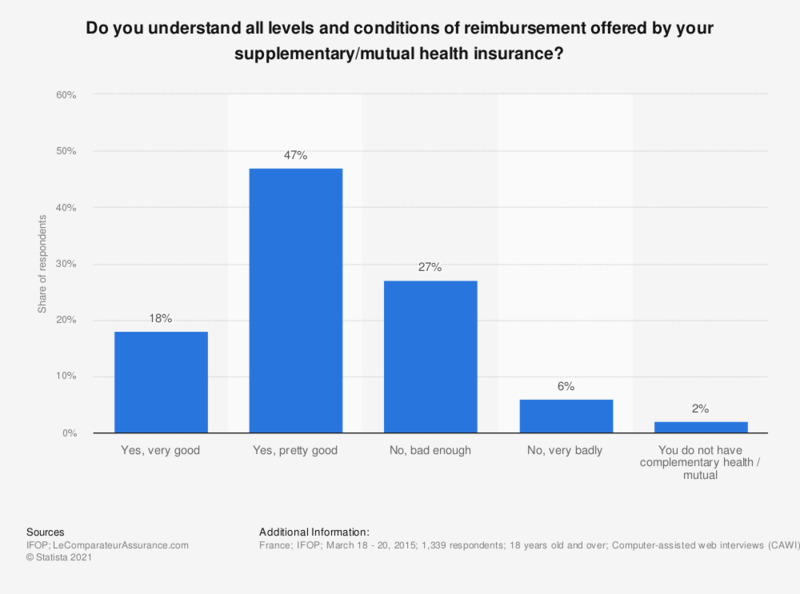 Do you understand all levels and conditions of reimbursement offered by your supplementary/mutual health insurance? This graph shows the level of understanding of the French of their complementary health insurance contract or their mutual in 2015. Nearly 30% of the people questioned said they understood their complementary health contract quite poorly.